Check out this sharp 2008 Toyota Tundra SR5 4x4 Crew Max with the TRD Off-Road Pkg! What a great looking truck! This truck is powered by a strong and fuel efficient 5.7L V8 that is paired with a smooth shifting automatic transmission with overdrive! This Tundra is in great condition! It runs and drives EXCELLENT! You will love driving this truck every day! 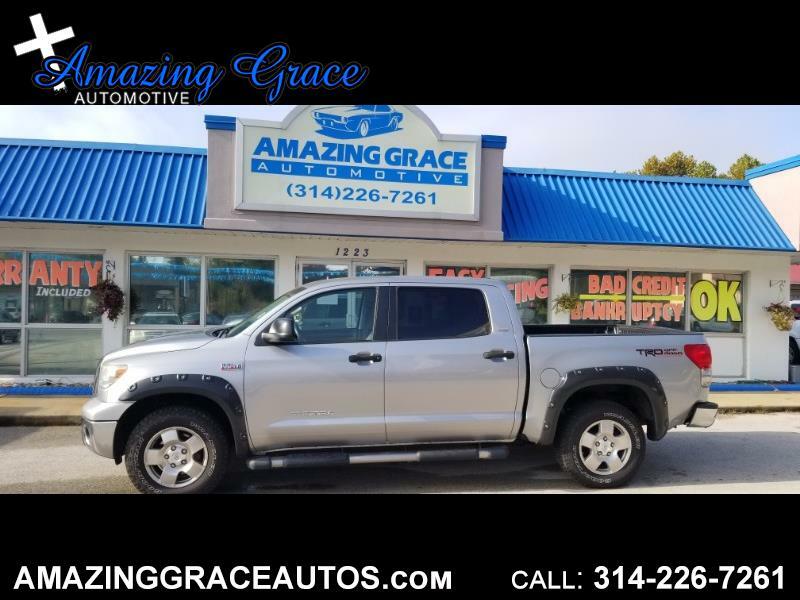 This truck has tons of great features like: TRD Off-Road Pkg, SR5 Pkg, Power Rear Window, Running Boards, Tow Pkg, Bed Liner, Power Seat, Overhead Storage, Keyless Entry, AM/FM/CD/MP3, Tilt Telescoping Steering Wheel, 6 Disc CD Changer, Aux Port, Dual Zone Climate Control, Front and Rear Airbags, Alarm System, Traction Control, Stability Control, Cruise, Fog Lights and so much more!